After previously investing in the company, Google has now acquired Makani Power, a green energy startup that is currently building airborne wind turbines. The acquisition was first reported in Brad Stone’s Businessweek story about Google X, and judging from Stone’s story, the team will join Google X. Google invested $10 million in the Alameda, Calif.-based company in 2006 and another $5 million in 2008. As far as we can see, this also marks the first time Google has acquired a company specifically for its Google X skunkworks. The company was founded by Saul Griffith and Don Montague, a former World Cup windsurfer. The price of the acquisition was not disclosed. Creating clean energy is one of the most pressing issues facing the world, and Google for years has been interested in helping to solve this problem. Makani Power’s technology has opened the door to a radical new approach to wind energy. They’ve turned a technology that today involves hundreds of tons of steel and precious open space into a problem that can be solved with really intelligent software. We’re looking forward to bringing them into Google[x]. Makani says it hopes that this acquisition will provide it with “the resources to accelerate our work to make wind energy cost competitive with fossil fuels.” The acquisition comes just a week after the company completed the first autonomous flight of its Wing 7 prototype. The Makani Airborne Wind Turbines, which resemble mini airplanes, are launched when wind speeds reach 3.5 meters per second. Rotors on each blade help propel it into orbit, and double as turbines once airborne. 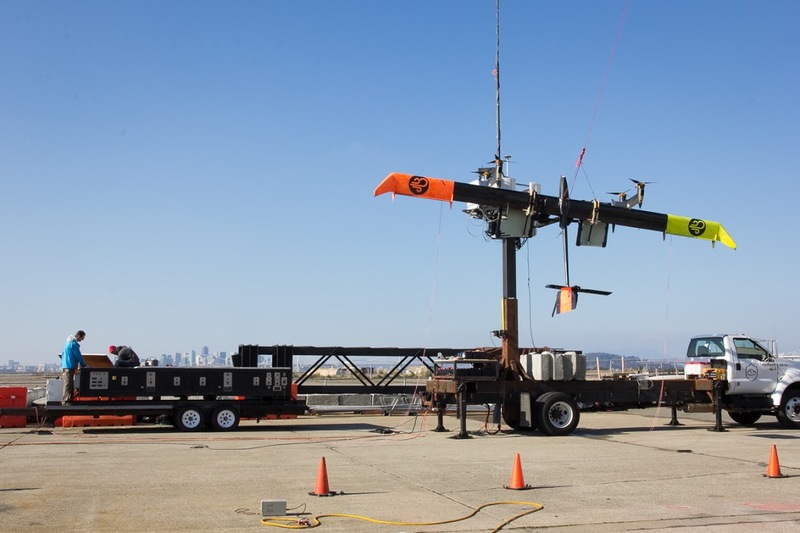 The blades are tethered to the ground with a cord that delivers power to throw them into the sky and receives energy generated by the turbines to be sent to the grid-connected ground station.